Shortly after Chromatics covered Cyndi Lauper’s “Girls Just Wanna Have Fun” for a MANGO commercial starring Kate Moss and Cara Delevingne, tomorrow the band will unveil a maxi-single with seven versions of the cover. “Girls Just Wanna Have Some” and “Girls Just Wanna Have Dub” are both streaming below and have been enhanced with accompanying music videos. 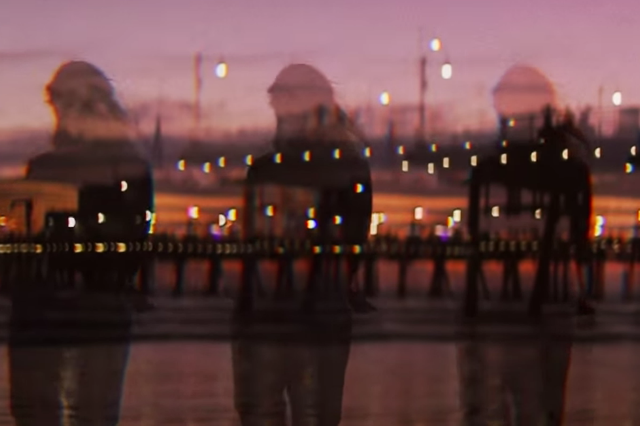 The clip features lead singer Ruth Radelet wandering around the beach at the Santa Monica Pier. Pitchfork points out that this is the first video to be credited to Chromatics’ producer/composer/multi-instrumentalist Johnny Jewel. No word yet on when the Chromatics forthcoming record, Dear Tommy, will drop. In the meantime, watch both clips below.